As early as being a student, you should already practice handling different kinds of responsibilities. Your school years are definitely your preparation to the real world. It is always better to equip yourself with a lot of academic and life, wisdom so that when adult duties come knocking at your door, you are well prepared for it. One of the things that can help you in the long run is familiarizing yourself with the language of student loans. We are not saying that the language of student loan is better than your English or French classes. However, knowing the language of student loan can definitely save you money and everyone can undeniably benefit from sparing your money off for your future. In the process of studying different languages, one of the first assignments you would have from your professors is to study the vocabulary. The same goes with the language of student loans. Not knowing the terms of the language of student loans can be quite confusing. Imagine if you’re trying to ask questions about your student loans to someone and you couldn’t word the things you want to ask properly. That can really cause you your dollars and nobody wants that to ever happen. Here are some of the most commonly used terms in the language of student loans that can definitely help you get by. 1. Capitalization : Capitalization basically means that whenever you are not able to pay your loan based on your deal with your loan holder, they add interest to your principal balance. This is how a lot of students and other people get in huge debts. That is why it is important to really commit into paying your student loans on time to reduce the risk of capitalization. 2. 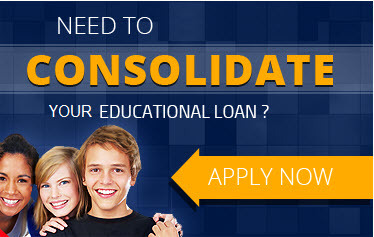 Consolidation: You can pay your students loans with consolidation. Consolidation is a type of payment that you can choose to in order to pay or lessen your loans. The way consolidation works is that your loans are replaced with a single new loan. Consolidation cuts down the number of loans you have. However, like any other repayment options, there are definitely pros and cons to it. In consolidation, you can lose special benefits that you have with your previous loans. 3. 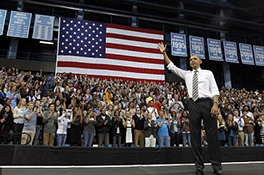 Deferment and Forbearance: A lot of people get confused with these two terms. Deferment and forbearance can both idle your loans for a while depending on the deal you have with your loan holder. However, deferment and forbearance have different process. Deferment is your right as a borrower. Although, you have to pass certain criteria to guarantee deferment. Forbearance on the other hand is by talking with your lender. It is more of an informal settlement or favor with your lender. 4. Delinquency and Default: These two scary terms in the language of student language can be a bit confusing as well. The similarity that they have is that you should always avoid encountering these two terms. They are both the status of your student loans. Delinquency status means that your payment is past due and default status means that you have passed the 270 days of delinquency. Reason why you should definitely avoid these two is that both can damage your credit score. 5. Forgiveness: You read that right. There is such word in the student loan language as forgiveness. When you have erased your student loan debt, you have reached forgiveness. There are many ways that you can attain forgiveness. Just look into different programs at your state and you can find a program perfect for your situation. 6. Grace period: This is actually a no brainer term. Just like in the normal language, grace period means that you have a certain amount of time before your due payment. 7. Pay As You Earn: From the phrase itself, you can pay your debts with the use of your income. This is another type of repayment option that is more manageable for a lot of people who have daily incomes. 8. Promissory note: This serves as kind of your rulebook in the language of student loans. Your repayment options and rights as a borrower can be found on your promissory note. 9. Rehabilitation: If you have entered default status with your student loans, rehabilitation is one way of redeeming your standing. You basically talk it out with your loan holder regarding payments. After the process, you are back with a clean history and record. 10. Subsidized: This is a type of loan in which the government shoulders the interest of your loan. Students typically use this type of loan while they are still in school. 11. Servicer: Servicers are the ones responsible in keeping you updated with the status of your loans. Don’t mistake them for your lenders or collections agencies because their job is to only send you bills and collect payments. Now that you know the basic terms of the language of student loan, you are now equipped with enough information about the student loan language.